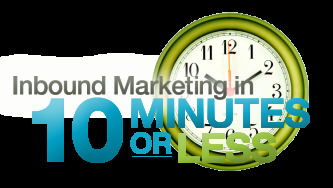 Tuesday's Tips & Tactics - Inbound Marketing in 10 Minutes or Less is a new weekly series presented by a member of the Kuno Creative inbound marketing team. The series is designed to instruct viewers on the best ways to think about and deploy inbound marketing tactics in order to maximize marketing resources. Each week will be completely devoid of hype and focus exclusively on proven concepts and tactics deployed every day in the Kuno labs. This week's episode forces viewers to reconsider what it means to be successful in SEO. It's no longer necessary to rank No. 1 on Google to maximize organic traffic, leads, conversions and customers. Today's post-Panda world requires content marketing and frequent web publishing to drive the most traffic to a website. View more presentations from Kuno Creative. If you’ve seen our Inbound Marketing is the New SEO webinar then you’ve already been exposed to the concepts in this week’s Tuesday’s Tips and Tactics. For those who have not seen the webinar, get ready to be told (probably for the first time) that where you rank in the search engines no longer matters. How many keywords drive traffic is the most important metric for measuring SEO success. By growing this metric, expect to maximize the number of search engine visits, conversions, and ultimately, customers. Join us next week for a Tuesday’s Tips & Tactics on blog post optimization strategies – a three-part series that will explore social media optimization (SMO), blog SEO and blog conversion optimization. Feel free to leave questions and topics of interest for future shows in the comments box below.